When acquiring a puppy at a very young age you are kind of dealing with a clean slate. At this point your puppy really does not have any behavioral issues. You have the opportunity to raise your puppy to be a well adjusted member of society. 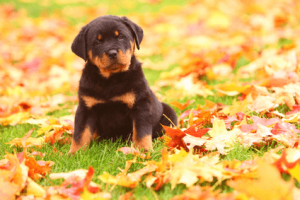 That is not to say your puppy may not start to develop some undesirable traits, but again you have the opportunity to nip them in the bud before you have a full-fledged problem on your hands. Some dogs because of their pedigree may have traits that you find less than desirable. That is why it is a very good idea to research any breed that you are interested in so you actually know what you are getting. Things that come natural to a dog you may find to be very annoying. For instance it is natural for a dog to bark, dig, chew, bite at things, run, jump, relieve themselves anywhere anytime etc. the list is endless. All of these things when they are done in excess are viewed by us humans as behavioral issues. Most people have a tendency to think that some of these traits are cute when they are a puppy. They sometimes forget that this ten pound puppy is going to be a fifty to sixty pound dog with a big set of teeth on him/her. The bite pressure on some adult dogs can be as high as 325 psi. With patience and consistency we can overcome many of these behavioral issues. If you had to guess right now what do you think the top behavioral issues dog owners face the most? Would it be barking or maybe chewing inappropriate items like your shoes. Maybe your dog likes to nip your hands when you are playing with him/her or maybe they like to be outside digging up your nice colorful flowers. Maybe your dog likes to chase things, from the squirrel in the back yard to the car going down the road. There are many behavioral issues that owners deal with on a daily basis. Many of these can be prevented early on while other behavioral issues are going to require time and effort on your part. Learning how to deal with these issues properly could mean a lot to your dog. 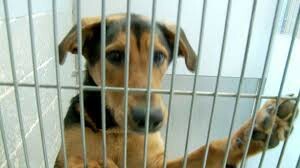 Statistically speaking most young dogs surrendered to shelters are there due to behavioral issues. If someone had taken the time to properly train the dog his life would not be on the line now. So please if you are thinking of getting a dog make sure you are up to it. You can learn how to properly deal with these behavioral issues. Later we will be taking at look at some of these behavioral issues. If you have any opinions on this issue we would like to hear from you.